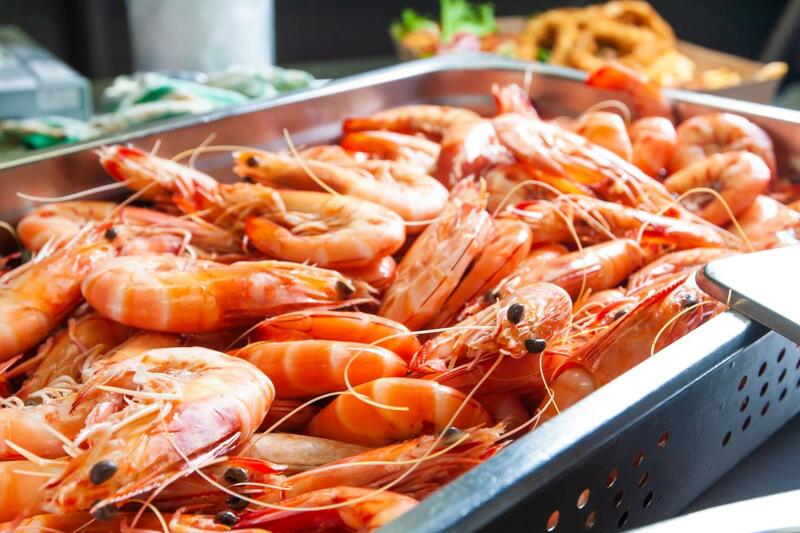 While the kids (and the sweet-toothed grown-ups) still see Easter as The Chocolate Holiday, more and more Aussie adults are pairing the occasion with fresh seafood. But where to tackle the task of stocking up on everything you need for the annual Good Friday feast without wasting a single squid on terrible trout? From fin-tastic fish to scallops that will have you saying ‘oh my cod!’ and every kind of shellfish in between, there’s nothing these purveyors of fresh seafood Brisbane wide can’t provide. So whether you’re ditching the lamb chops for the Easter weekend or just looking to throw a few prawns on the BBQ, these fishy spots won’t let you flounder! Always open over the Easter long weekend for all your seafood needs, The Fishery makes it shrimple to grab the freshest catch, even if you’re not too organised. Owner Murray (an experienced chef) can even dish up advice on what to pick and how to cook it – talk about a helpful sole! If you’re still not feeling confident, check out their takeaway menu – they also serve up fish and chips we love to carp on about. Need to scale back the shopping and mullet over? Head down to Reef Seafood & Sushi and take a load off. This Newstead spot doesn’t just sell great local produce – they can also make a meal of it! The 80-seater restaurant has two full bars (one alcoholic, one oyster) and can cook up some of their own produce for you straight from the tank. They even have a Japanese section if you’re angling for some sashimi. Known as the “seafood hub” of Brisbane, Samies has been a family-operated business for over 30 years, forever luring customers back for their mouth-watering prawns, bugs and crabs. The staff will even fillet your fish in-store, or (if cooking is a pain in the bass) fry up huge batches of battered goodness for you. It would be shellfish to keep this place to ourselves. Fresh N Wild Fish can cater for any fishy desire you might have this Easter. Specializing in both fresh and cooked seafood, you can pick up some marinated cuts to cook yourself (whitefish in a chilli, lemon and coconut sauce? *drools*), or grab brekkie, lunch or dinner at the restaurant. Along with the classic battered barra, their menu sports specialty goodies like soft-shell crab baos and fish tacos. Pre-order and pick up your platter this Easter, or save the fuss and have it delivered straight to your door! Morgans offers no-fuss fish to ensure your holiday goes swimmingly. You might want to check out the store for the halibut, though. With over 180 seafood products and a takeaway outlet that includes sushi and oyster bars, we might just perch ourselves there over Easter! The Fish Factory is another Brissie spot where you can ditch the dirty dishes and pick up a cooked takeaway platter. Their mixed grill for one (bugs, prawns, calamari, scallops and chips) is amazing, but for the inspired chefs, you can’t go past this Morningside market. Mountains of fish, prawns, oysters and crabs lay on icy displays for you to trawl through. Haddock enough of our fish puns? Whale, stop reading and start shopping for the best seafood Brisbane has to offer!